For a variety of reasons, MI5 decided that Josef Jakobs was the ideal candidate to be tried by a military court martial. Primary among those reasons was the fact that Josef was an "enemy alien", i.e. a citizen of a country with whom Britain was at war, in this case, Germany. Other "enemy aliens" had been captured (e.g. Karl Theodore Drücke) but since their accomplices were neutral citizens, they were tried as a group in a civilian court. Josef had no accomplices. He admitted that he was a German citizen. He admitted that both of his parents were German citizens. But the icing on the cake, so to speak, at least from the MI5 perspective, was that Josef also claimed to be a member of the German Armed Forces. A spy who admitted he was an enemy alien in the armed forces - perfect candidate for a court martial. The path to Josef's court martial, however, was not an easy one. Many people would be involved in the decision and several levels of bureaucracy would need to be successfully negotiated. any enemy alien may, if the Attorney General so directs, be prosecuted for an offence against this Act before a court martial, and upon such a direction being given with respect to an enemy alien the Army Act shall apply for the purpose of his custody, trial, sentence, and punishment as if he were, and had been at the time when the offence is alleged to have been committed, a person subject to military law. The MI5 Application to the Attorney General was extremely brief. It included a one page summary in which the MI5 officers took pains to point out that Josef was an enemy alien and a member of the military – both key points for proceeding with a court martial. In addition to the summary, the application included a statement that Josef had made to Hinchley Cooke on June 18 and a list of the possessions found on Josef. The Application was submitted to the Director of Public Prosecutions (DPP) and probably landed on his desk at Devonshire House in Piccadilly on Monday, June 23. The Application did not come as a surprise to the DPP for prior to beginning the formal application process MI5 had tested the waters and had had several unofficial conversations, one of which had been with the DPP. He, for his part, had consulted one of the Parliamentary draftsman regarding the intentions lying behind the Treachery Act. While nothing was said when the Treachery Bill was before the House, it was apparently the Attorney General's intention to limit the use of his power by only accepting court martial applications for enemy aliens who were in the military service of their country. Of all the cases before them, MI5 knew that Josef's case had the best chance of being approved for court martial - an enemy alien who was in military service to Germany. It might seem then, that placing the Application before the DPP was a mere formality, but the DPP took his job very seriously. It was he who decided whether a case should be prosecuted or not. In many respects, the DPP held the lives of many accused in his hands, including those of the World War 2 spies. Who was the man who determined the fate of so many prisoners? Edward Hale Tindal Atkinson was born on 9 September 1878 in Bromley, Kent. His parents were Henry Tindal Atkinson, a county court judge and Marion Amy Lewin. Edward was the only son in the family and was subjected to the tender mercies of two older and two younger sisters. Edward escaped from home as quickly as possible and studied classics and modern history at Trinity College, Oxford, where his friends called him “Tatters”. Following in his father’s footsteps, Edward was called to the Bar in 1902 and built up a substantial practice as a barrister, a practice that was interrupted by World War I. While Edward was making a name for himself as a barrister, his older sister Amy Maud Tindal Atkinson was making a name for herself as a painter. Maud studied under Byam Shaw at the Kings College for Women in Kensington. 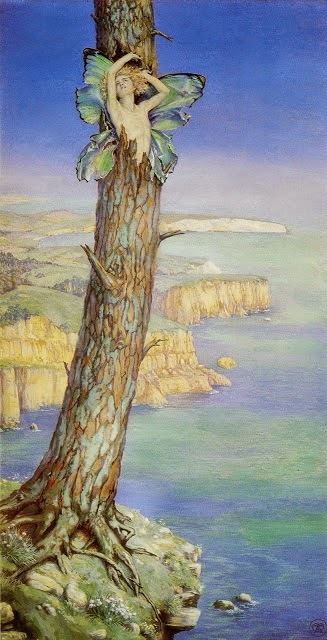 She exhibited 15 paintings at the Royal Academy between 1906 and 1937. She was a member of The Royal Society of Miniaturists and illustrated several children's books. Maud never married, nor did her sister Enid Katherine, and it appears that their brother, too, never wed.
During the latter part of World War I, on 12 November 1917, Edward was commissioned as an officer in the Royal Naval Volunteer Reserve. He moved through several different postings and eventually finished the war as a Major in the Royal Air Force on 17 June 1919. With his background in law, Edward was selected as a legal representative for Britain at the peace negotiations. Given that Hinchley Cooke was also present at the peace talks in 1920, the two men might even have been acquainted with each other. After the peace was concluded, Edward was rewarded by being appointed a Commander of the Order of the British Empire (Civil Division) and receiving the Chevalier of the Légion d'honneur. Returning to Britain, Edward re-established his legal practice and eventually, in March 1930, was made Director of Public Prosecutions, much to his own surprise. He performed the role remarkably well and in 1932 was appointed a Knight Commander of the Order of the Bath. At the start of World War 2, Sir Edward helped to prepare the Defence Regulations and the infamous Treachery Act. Edward retired from his role as DPP in 1944 and became chairman of the Central Price Regulation Committee, remaining there until its dissolution in April 1953. Edward passed away on 26 December 1957 having served his country faithfully and well. Edward's estate was valued at £30,859 (a small fortune) and probably passed to his only surviving family member, his younger sister Doris Mary (Atkinson) Mellish. National Archives, Security Service file on Josef Jakobs - KV 2/27. National Archives, Cabinet file on Spy Trials under the Treachery Act - CAB 114/51. 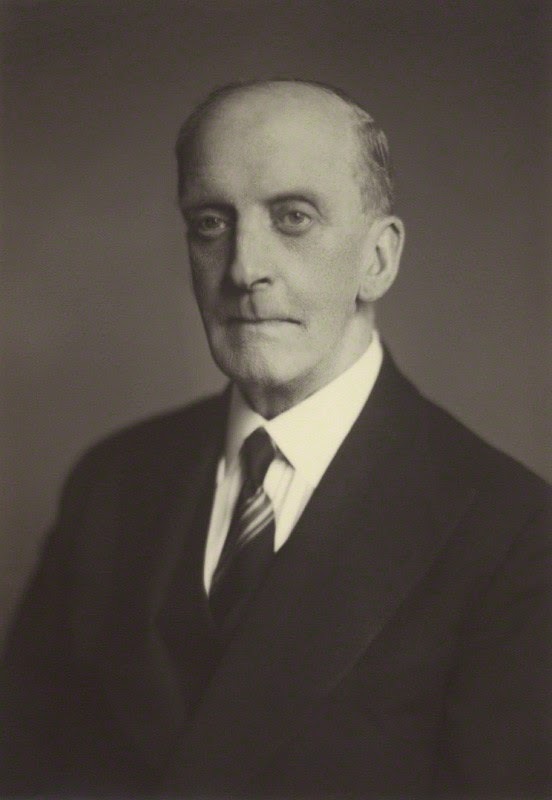 Wikipedia - Sir Edward Atkinson. Wikipedia - Maud Tindal Atkinson. Family Genealogy for Tolliss, Tollis, Blott and Brimson.